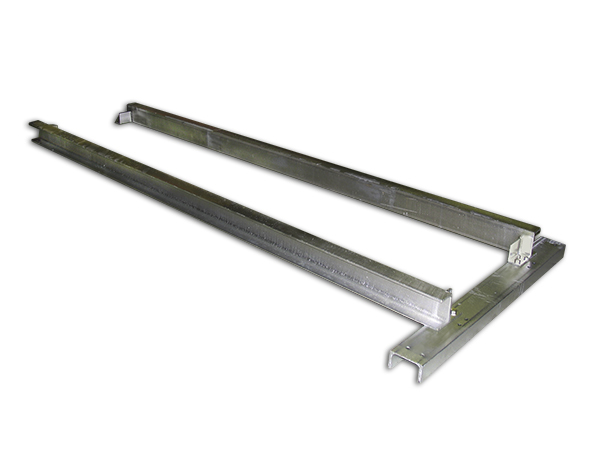 Length 2.5 m. Includes 2 x longitudinal beams, 1 x vertical beam and fixing bolts. 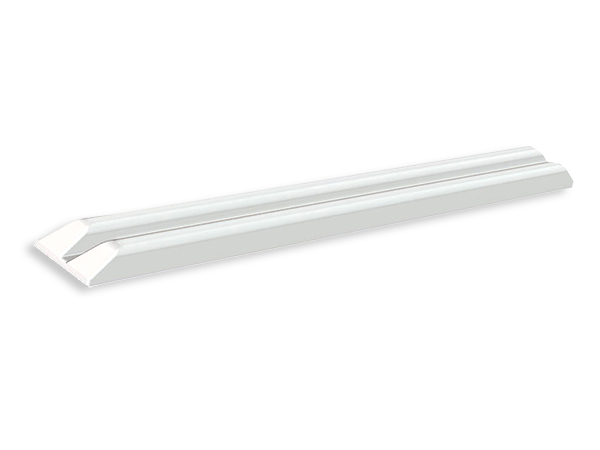 Length 2 m. Includes 2 x longitudinal beams, 1 x vertical beam and fixing bolts. 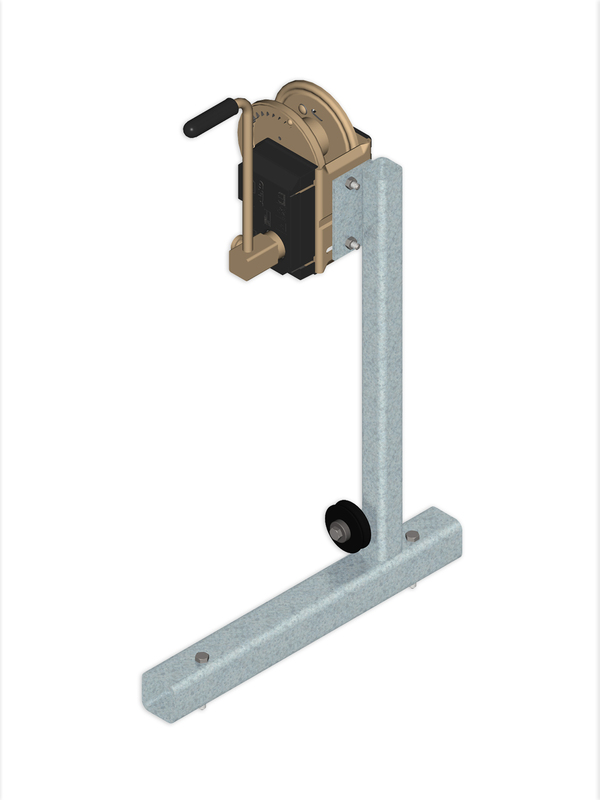 Extremely high-quality manual winch with automatic brakes. 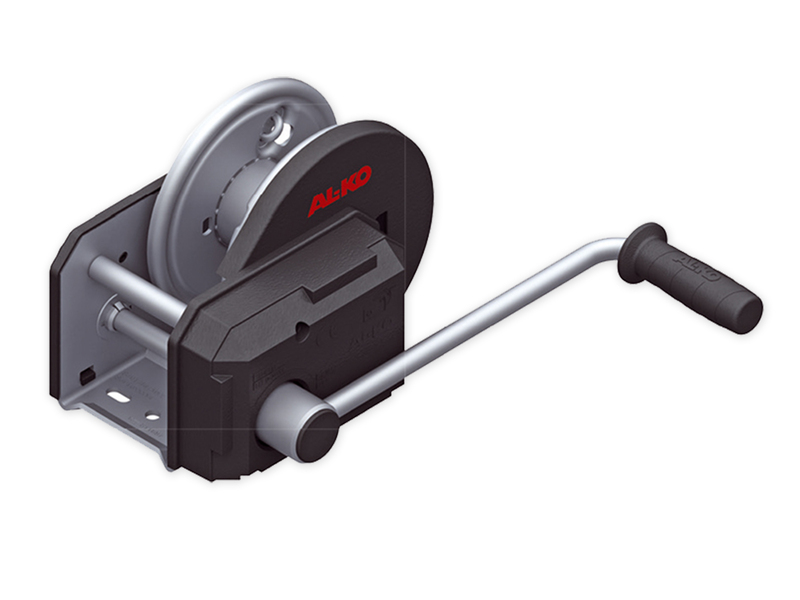 Extremely high-quality manual winch with automatic brakes. Robust foot made of hot-dip galvanised steel. Includes wireless and wired remote control, Dyneema rope 24 m and a fixing beam. The wireless remote control has an operating range of approx. 16 m. A waterproof remote-control pack with a longer operating range (60 m) is available as an optional accessory. Does not include battery.Extremely high-quality basic winch. Extended warranty (3 years) for registered customers. Warranty for remote controls’ components 1 year. Longer operating range 60 m remote control kit for Warrior Ninja. Waterproof. Includes wireless and wired remote control and a fixing beam. 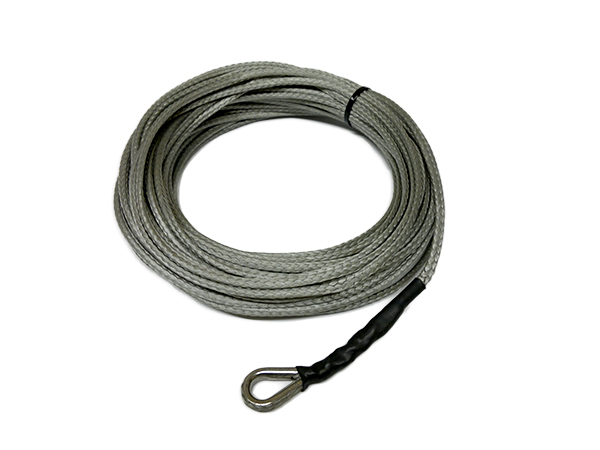 12 mm / 28 m Dyneema rope as standard. The wireless remote control has an operating range of approx. 30 m. A waterproof remote-control kit with a longer operating range (60 m) is available as an optional accessory. Does not include battery.Extremely powerful winch for demanding use. High resistance against corrosion and water (solenoid IP68). Any components that are suspectible to corrosion have been replaced with aluminium, as well as galvanised and stainless steel. Excellent option for e.g. sea shores and archipelago areas. Spliced Dyneema rope with thimble. Breaking resistance 2,200 kg. Other lengths available, if needed. You can fit the winch, battery, charge and electronics in the protection box, protected from rain and dirt. The box is made of aluminium and can be locked. Solar panel + charging control for charging the battery. 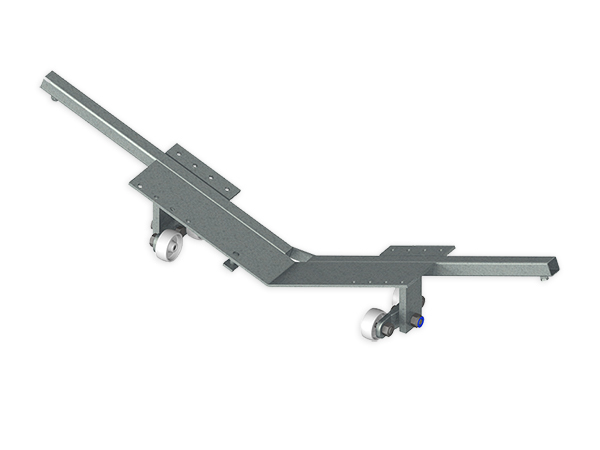 The package includes a 1.5-metre-high leg to fix to the dock, which can be positioned in a chosen direction. Adjustment 360 degrees. Wiring is ready to connect. Foot made of hot-dip galvanised steel. 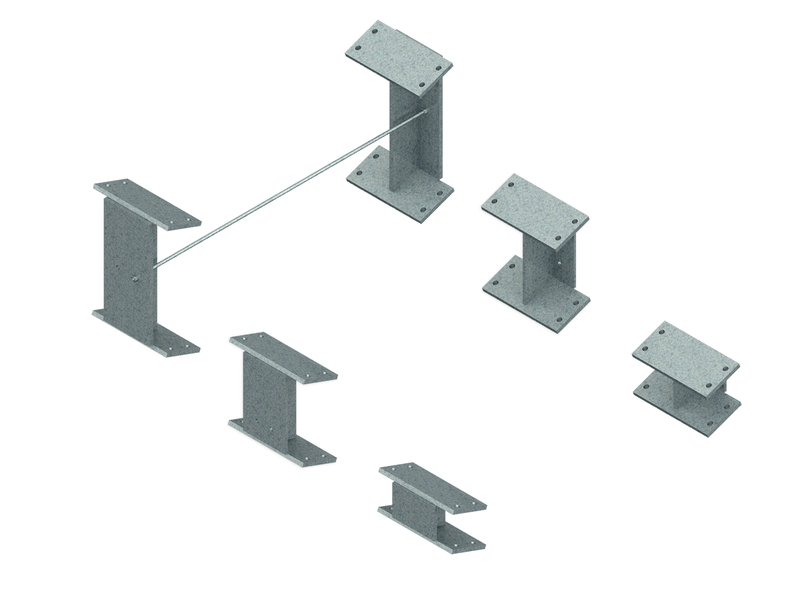 Length 2.5 m. Includes hot-dip galvanised beams, locking plates, bolts and planks. The walking platforms are a good addition particularly with the manual winch, making it easier to get in the boat with dry feet. In addition, the dock and environment look tidy. EasyBoatRoller update package, when e.g. VR-700 is converted to a VR-1000 model. EasyBoatRoller update package, when e.g. VR-1000 is converted to a VR-1500 model. Additional side guides are a good addition for long boats and particularly windy shores. Additional side guides are place between the front and rear side controls.(NOTE! The third pair can only be used for the VR-1500 or larger models. Not available for the devices of the spring 2013 production series). 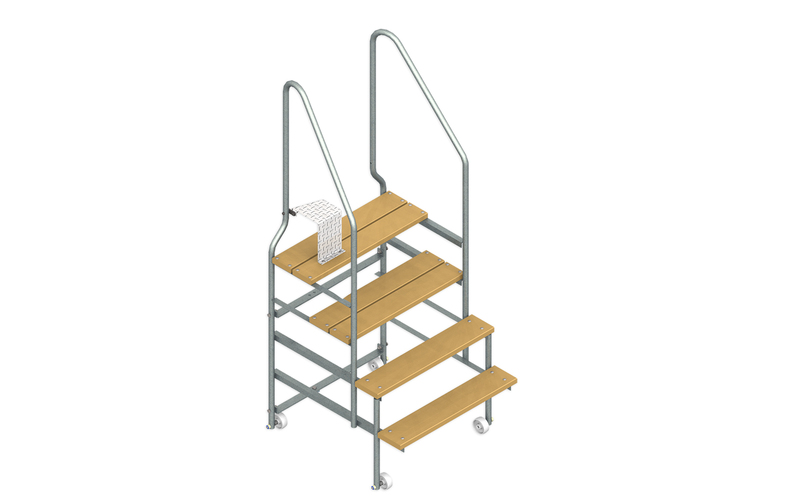 Higher stairs come as standard with the VR-2500 model. They can also be replaced for other models, if the bow of the boat is high. Particularly for glass fibre and plastic boat to protect the hull of the boat. Size 940x85x44 mm. Material weatherproof plastic (Bacell™).We recommend installing cushioning for the full length of the planks. Particularly for glass fibre and plastic boat to protect the hull of the boat. Size 1000x140x60 mm (suitable for wide planks). Material weatherproof plastic (Bacell™).We recommend installing cushioning for the full length of the planks. Particularly for glass fibre and plastic boats. The tray planks’ cushioning plastic protects the hull of the boat. Material UV-protected PVC plastic, reinforced with a polyester net. We recommend using the cushioning for the full length of the planks. The cushioning plastic is a better solution than the planks’ cushioning, if the cushioning would raise the tray too much in particularly gently sloping shores. 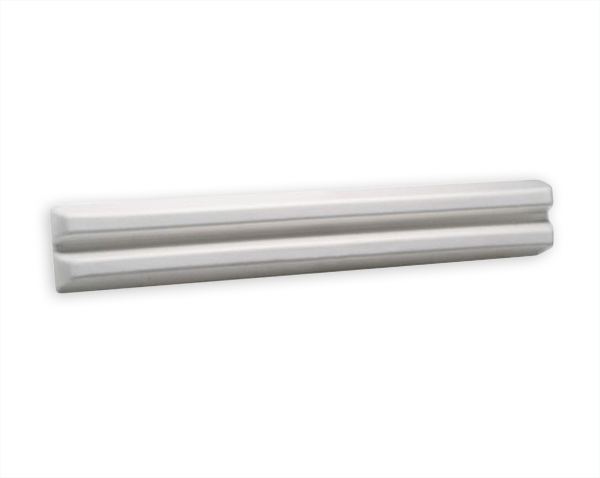 Wiping brushes prevent sand, gravel and small stones from accumulating in the rails. The wipers move along with the tray wiping the rails clean.NOTE! Only suitable for tandem wheels (= models VR-1000, VR-1500, VR-2000, VR-2500). Three heights = 100 mm, 200 mm and 300 mm. A heightening set is needed if the shore is steep. The raising set can be used to raise the rear end, in which case the boat is in a better position on the dock. The heightening set is also needed when the v-angle of the boat’s hull is particularly steep or the keel is high. 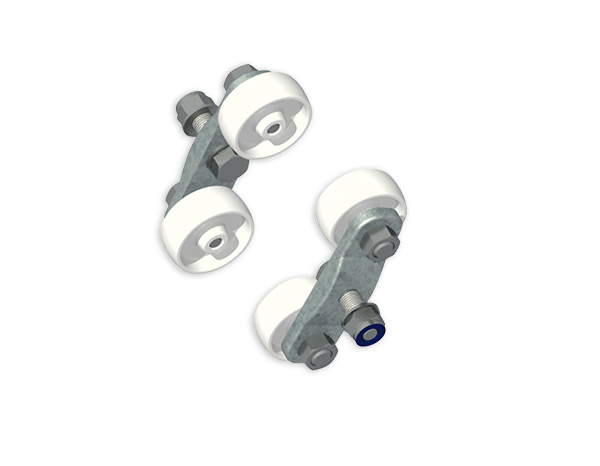 In this case, the heightening set is installed at both the front and rear axle. 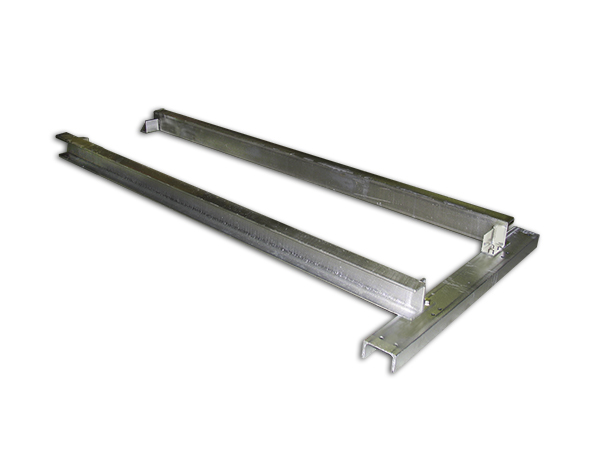 The moving device facilitates the movement of rails that are in water, in cases where the rails cannot be fully left in water over the winter due to challenging ice conditions. The transfer system for rails can be used to effortlessly move 2-3 rail pairs to dry land at once. 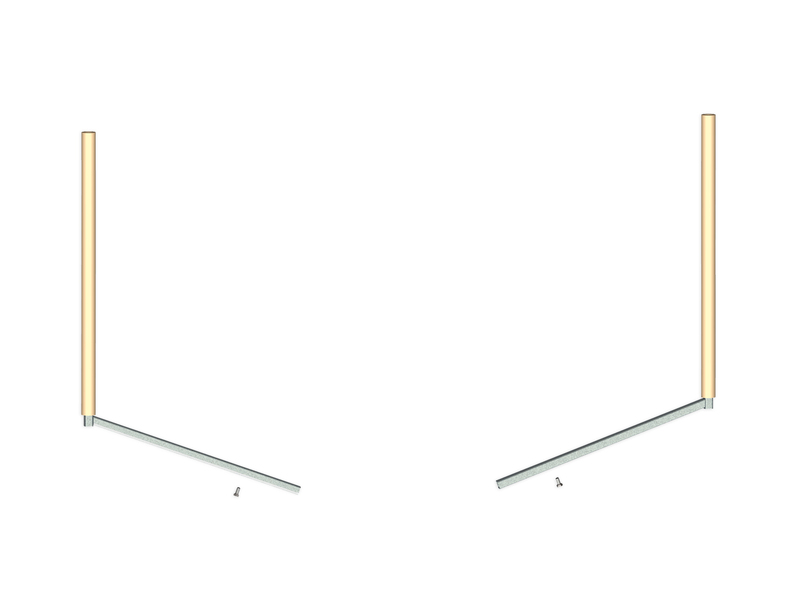 To move more than three rail pairs at once, two transfer systems are needed.